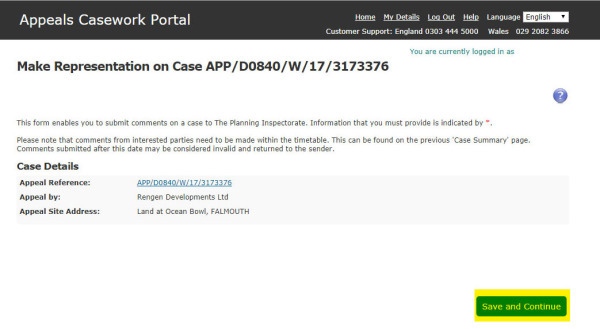 To be able to comment online to a planning application that has gone to Appeal you need to register on the website. This is simply and steps are shown below. Once you have registered you can continue to use your login details in the future. This will show the Home page (see right). 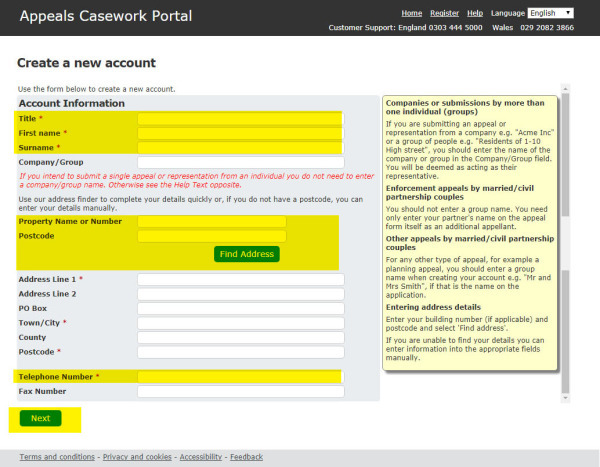 Click on the Login, highlighted below in yellow if you have Registered already. 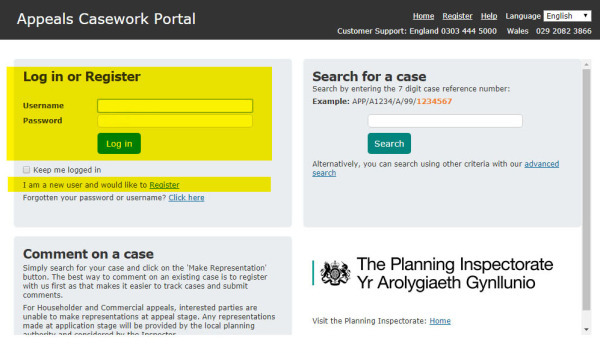 If you have not previously registered - click Register, highlighted below in yellow. 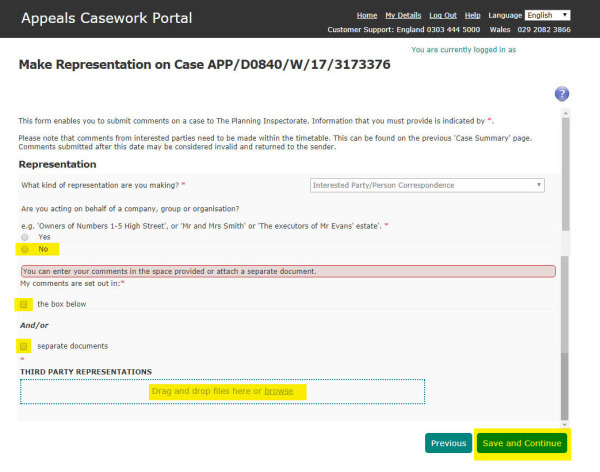 This opens a Create a new account page. On the next page you will make up your user name and enter a password, the requirements are shown on the right of each page. You then click CREATE USER. 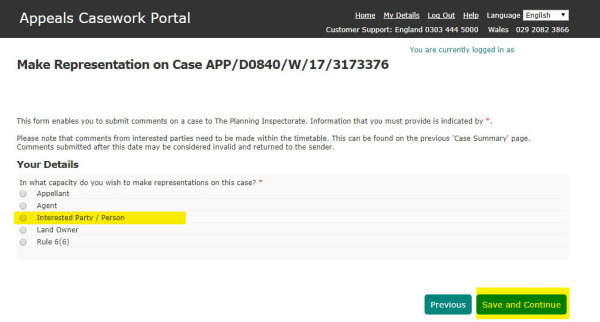 ​Final step: Please now check the inbox of the email address you provided. 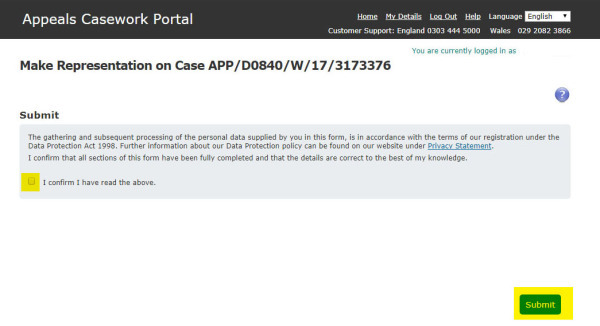 You will receive an Account Activation email containing a verification link. Click the link and your account will be verified. You will then be able to use the service. WARNING! You must carry out the step above before you attempt to log in. You should now be able to enter your User name and Password and Log in. 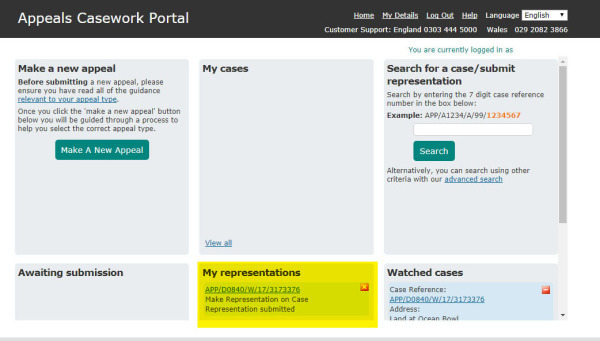 You have now entered the portal and can Search for any appeals you wish to comment on "make a representation". You can enter the last 7 numbers from the reference given. 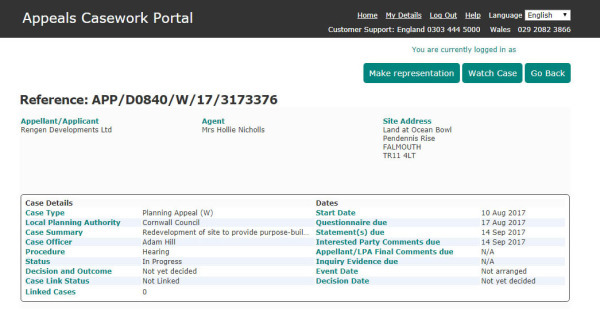 This opens the page giving the details of the planning appeal, with the all important dates. submit a document - separate documents (Drag and drop files or browse and choose). 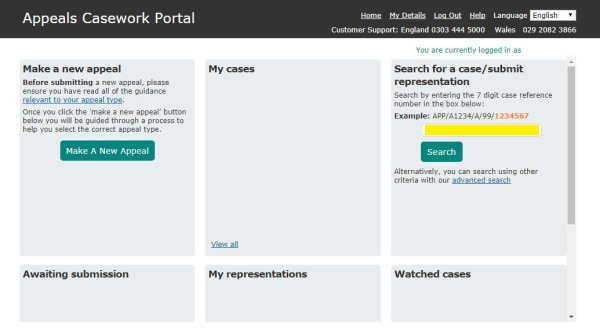 You should now see on the home page (when logged in) that you have made a representation (see below) My representations.